Nothing beats canoeing down the Sante Fe River in December. High temperatures were in the 80’s and the sun made several appearances. Those who were daring enough swung off of a rope-swing or two. Salud to Naked Ed! 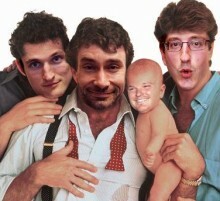 We didn’t see you this year year, but our paths will cross again. Due to an oversight by the planning committee, BLECHO 2014 took place on January 9, 2015 on the Santos Mountain Biking Trail in Ocala, Florida. 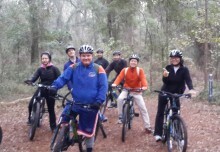 A wet and rainy day, the conditions added to the intensity of biking the trails. The Santos Trail is a model trail system, with flowing singletrack, wooden biking structures, a bike skills park with progressive challenges and jaw-dropping technical features. Needless to say, the experience was thrilling and extremely memorable. A seemingly unending stream of childbearing and an extended ER visit put BLECHO on ice that winter. 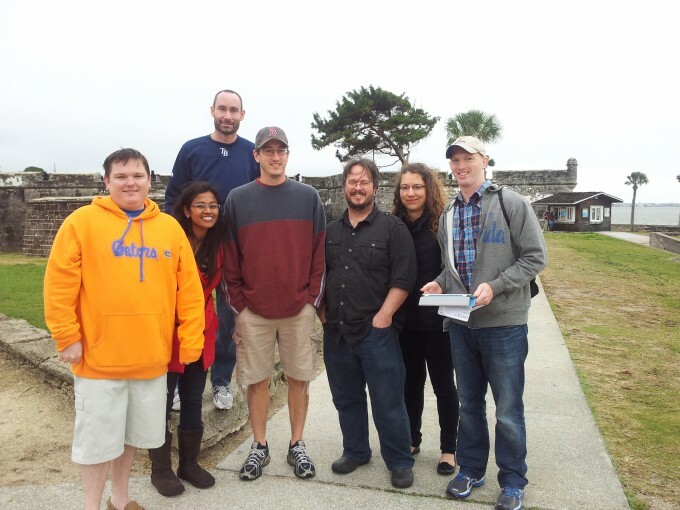 On a unseasonably cold and misty morning in December 2012, Brusko lab members convened on campus to take a road trip to St. Augustine, FL. We packed into the van and passed the time by playing Taboo. While in St. Augustine, we hit the sites, had a great lunch, and managed to locate a few geocaches. 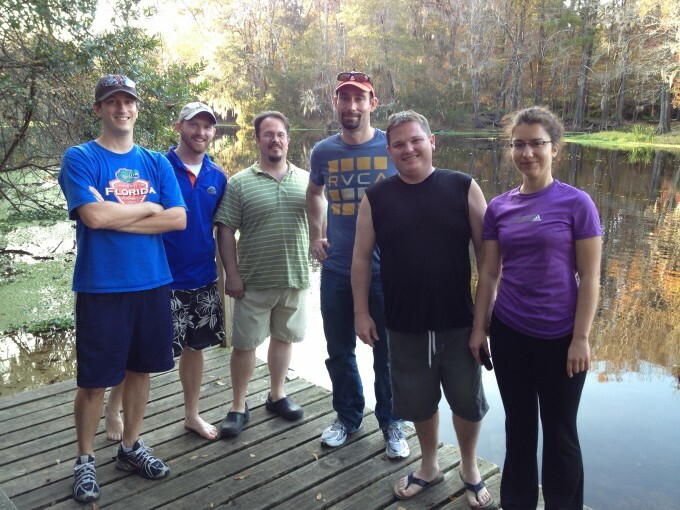 On a unseasonably warm day in December, 2011, the Brusko Lab embarked on the first annual BLECHO. 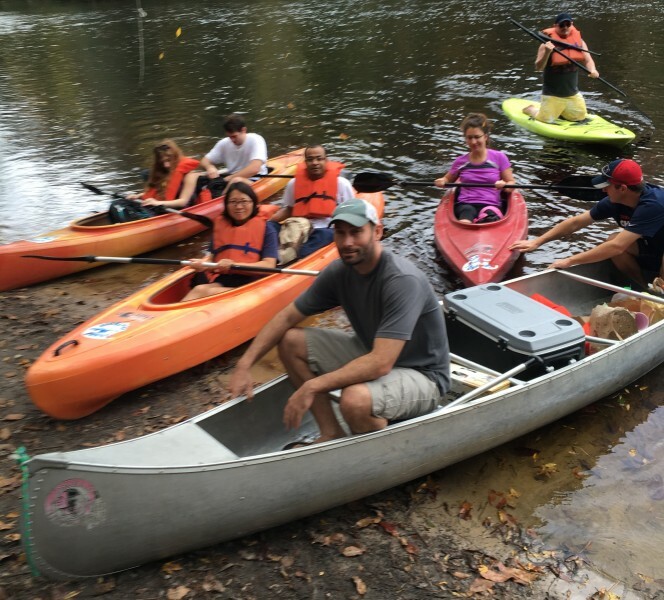 The lab spent the day canoeing (or occasionally carrying their canoes) down the Santa Fe River and exploring the natural springs that feed it. The lab even got to spend some time hanging out with Naked Ed (although, we had already run out of Hungarian Hortobagy Pancakes to share with him by that point).